Sparsely populated with a Red Heart, the Top End of Australia. Home to the stunning Kakadu and Litchfield National Parks, vast deserts and spectacular rainforests. See Northern Territory Attractions - Northern Territory Museums Australia. Here, you can sleep under the stars or in a luxury hotel, visit Uluru National Park in the Red Centre of Australia or explore the north coast of Australia and experience Aboriginal Culture. Although the Top End of Australia resisted settlement by the Europeans for many years due to its remoteness, Darwin has a lot to offer visitors. See more about Darwin NT Australia. See the Darwin and Surrounds weather conditions Darwin Weather and Surrounds. The Parks and Reserves in the NT are both remote yet beautiful in their wildness. 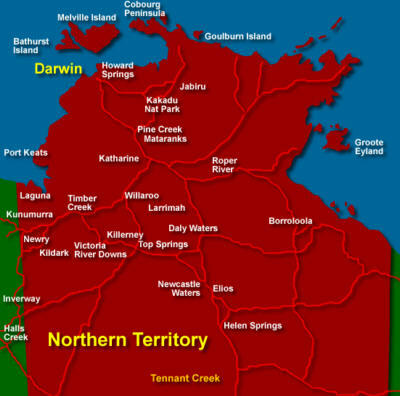 See more about the NT National Parks and Reserves. Exploring the rich cultural diversity of the Northern Territory Aboriginal nations makes for an intriguing stay. Aboriginals have lived in the Northern Territory for many thousands of years, evidence has been found indicating they have been here for over fifty to sixty thousand years, if not longer. Aboriginal lands, including Arnhem Land cover almost fifty percent of the state and are controlled under arrangements with them and the Federal government. Permits are usually required to enter these lands, better yet, go with experienced Aboriginal guides on one or more of the many tours and cruises. Places like Darwin and Alice Springs have a number of Aboriginal culture tours available, where you can learn about the food, the arts and way of life in the Outback from the indigenous perspective. These tours and sometimes cruises, can give you an added appreciation of this ancient land in places that is inaccessible to normal visitors to the NT. Bathurst and Melville Islands, off the north coast of Australia near Darwin, has indigenous culture that differs from the mainland. Melville is the second largest island off the coast of Australia, after Tasmania. The islands are very much a tropical paradise, due to restrictions placed by the traditional owners of these islands, the Tiwi peoples, visitors are only allowed to Bathurst Island and only during the months of May to October. 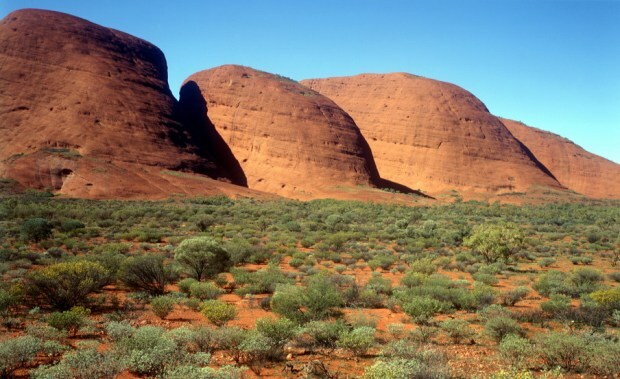 The huge desert areas, located in the centre and south of the NT has scenery dating back more than 800 million years and called the Red Centre. The red sand and soils get their colour from the rusting iron oxides. Alice Springs is the main city in this vast region, from here you can explore the deserts and the other notable places to visit, including Uluru and the Olgas, the Devil’s Marbles and the Henbury Meteorites Conservation Reserve. See more about Alice Springs and the Red Centre Alice Springs Australia NT. There are many types hotels, motels and resorts and other types of accommodation to suit your budget found in the Northern Territory and of course, Darwin. There are plenty of caravan parks that can make exploring the territory a unique experience. Camping is also available in a number of the National Parks, sites range from good to those with limited facilities. 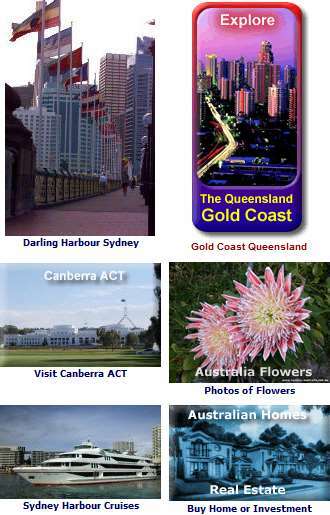 More about accommodation in the Northern Territory and the rest of the country - Hotels in Australia. Thought about a working holiday in Australia? Work in Australia.